Bellydance.com exclusive! 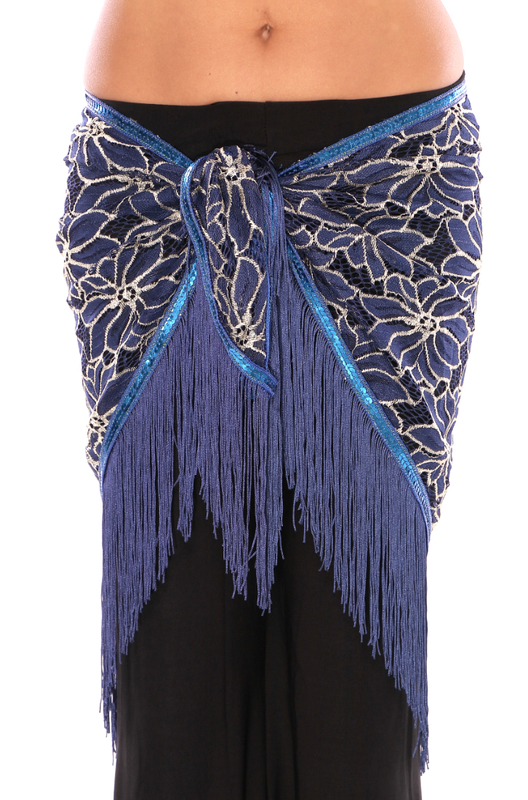 This unique 2-tone blue lace hip scarf is a great variation of the traditional style. 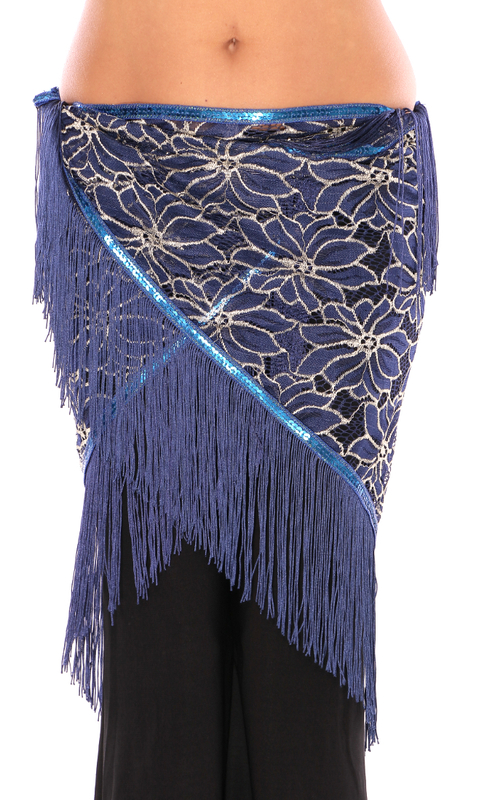 The base is lace and it's trimmed with elegant sequins and flowing fringe! Use for any style of belly dance, from Tribal to Gypsy to Cabaret. 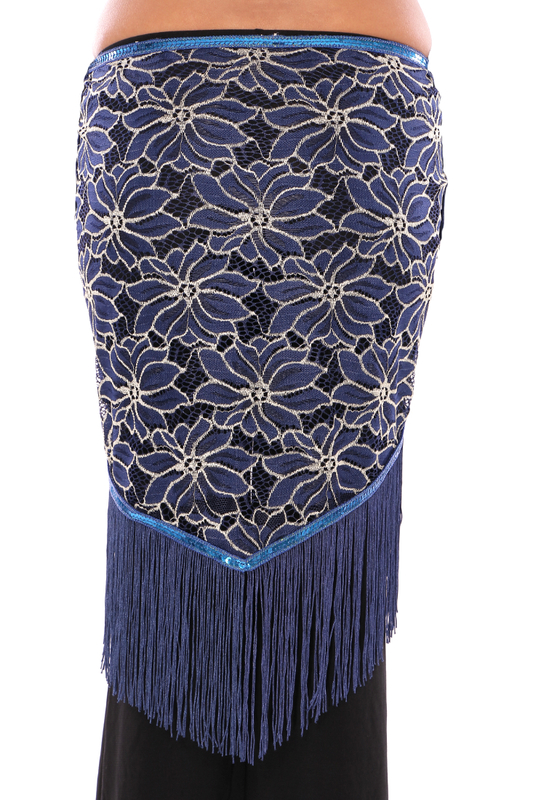 Also great for Spanish dance and Halloween costuming!